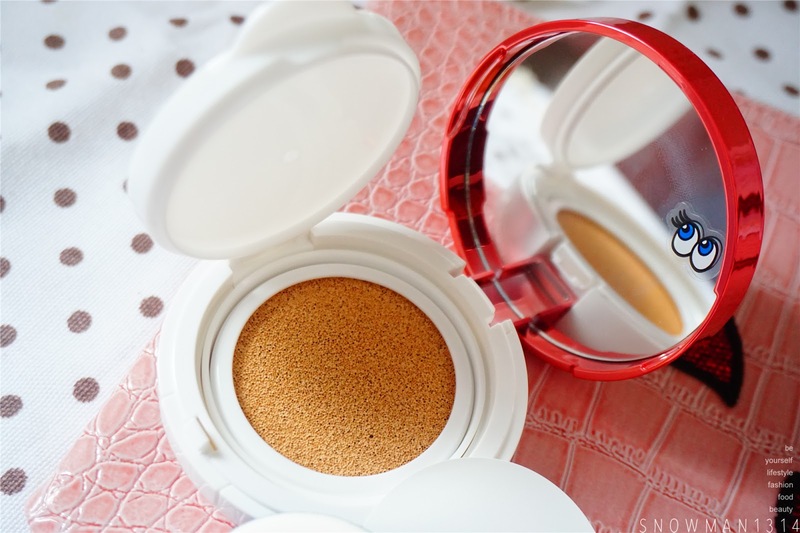 Its been a while since I talk about BB Cushion. It was almost a year ago, not to be say because I don't dare to open a new BB Cushion before I have finish mine previous one. One BB Cushion can holds me for 9 months to 12 months. I always use it only in Weekends only, which mean I use for 2 Days per week. My Skin type was consider Normal to Dry and Skin tone more to yellowish tone. 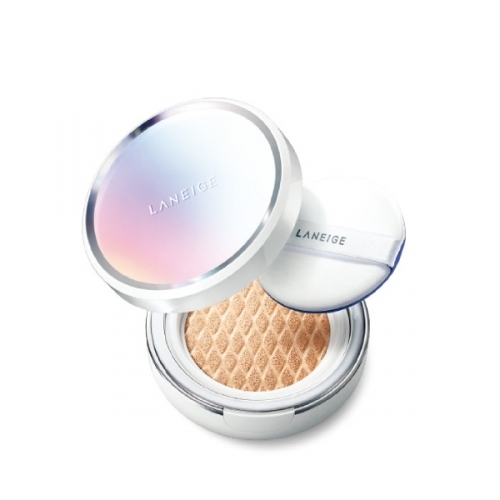 Since I already own a Laneige Bb Cushion previously, I get this same color No.21 Natural Beige for myself. I have some addiction with this Playnomore blinking eye cartoon. Which totally get me hooked and fall in love with this blinking eye cartoon. 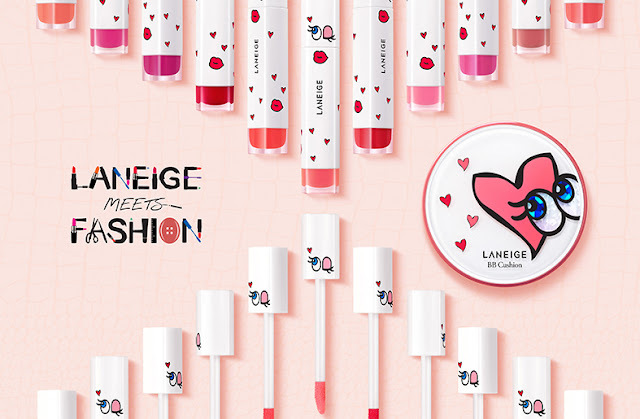 When I know that LANEIGE is collaborate with Playnomore, I was so excited and can't wait the real launching date at Malaysia. Not to say I even booked it earlier, so that it won't out of stock by the time I wanted to buy. Nevertheless I am a huge fan of LANEIGE , especially their BB Cushion and Lips product. Considering this is the 4th BB Cushion I use. I start using BB Cushion from 2015, in more than 1 year time I actually used Four BB Cushion already. Not to say the first IOPE Bb Cushion I buy from Instagram actually drys up after few months I start use(depends how you store). Gonna try their latest series if got chance. 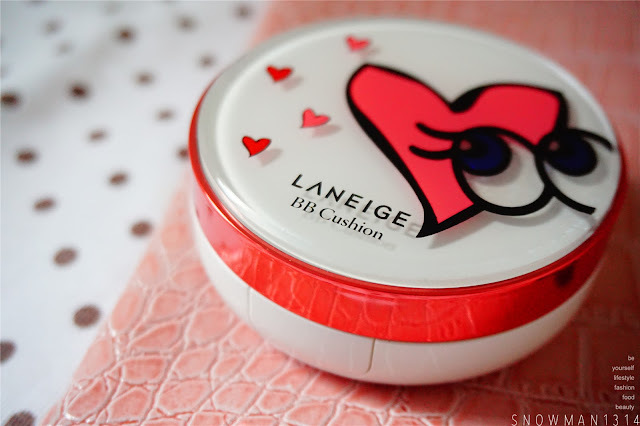 Next I use Etude House Lock n' Summer Precious Mineral Cushion, I start using LANEIGE Pore Control BB Cushion start of the year 2016. And I plan to use LANEIGE X Playnomore from June 2016 on wards. 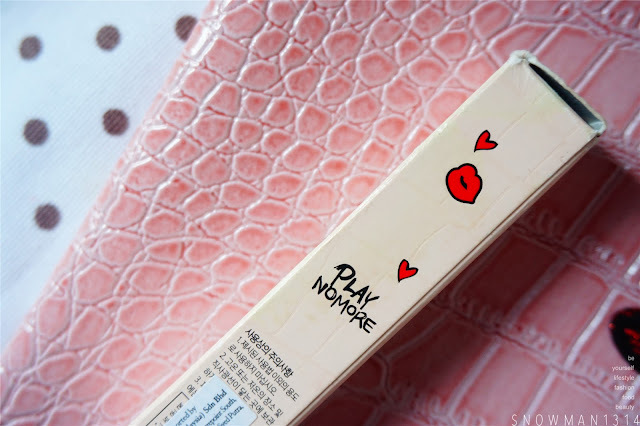 Packaging wise is definitely a cute point, where you got the pink box with the signature Playnomore Blink Eye look. You can see the packaging for the eye they have 3D blink texture on it. This series they come out with 2 edition, 1 with the Pore control and this one is the Whitening effect. 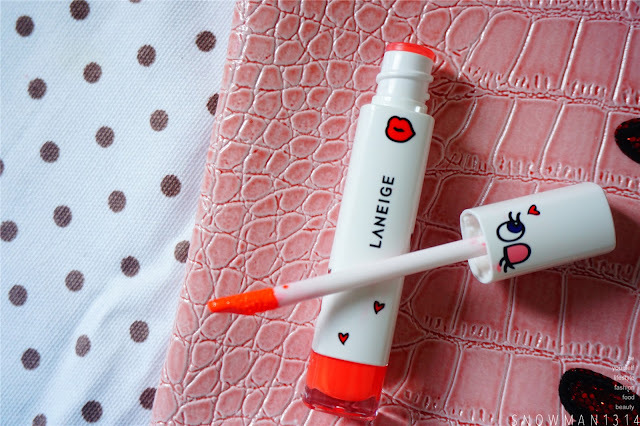 Since I already have the Laneige Pore Control series, I decided to go for Whitening one for this collaboration. 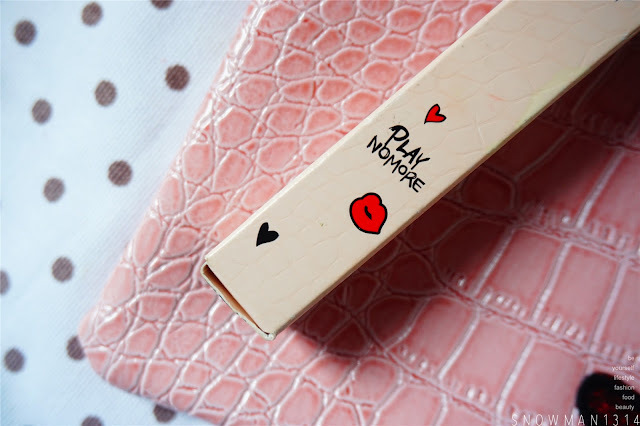 The casing come with the signature eye from playnomore and heart shape. The color comes in pink and white casing. With the pinkish red on the cap of the casing. The casing actually comes in glossy shimmer texture which I really like. You will see it if you tilt your screen a bit more. When you open the case, you will see the cute blink eye again. Feeling so excited when I keep see the blinking eye in this casing. 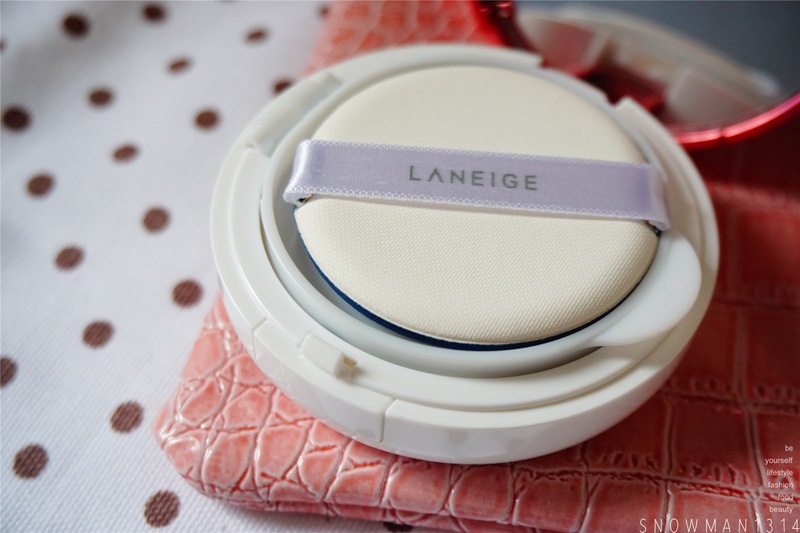 The LANEIGE air puff. As always nicely seal packaging. 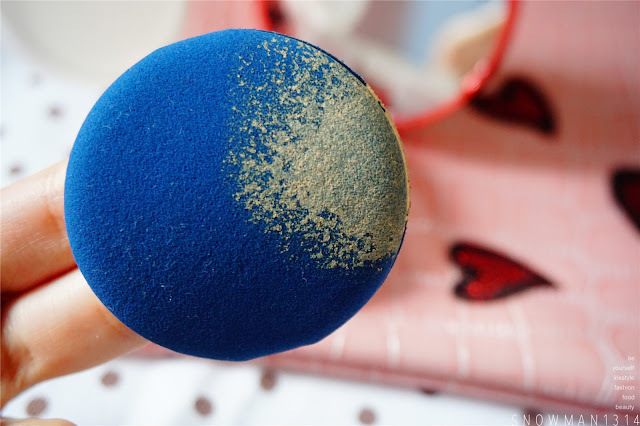 Texture of the BB Cushion. LANEIGE never fail to impress me, I love the moisture of the bb cushion, I just need to dab gently and the bb cushion will immediately transfer the coverage on my finger. As for coverage wise, I will give it a medium coverage. 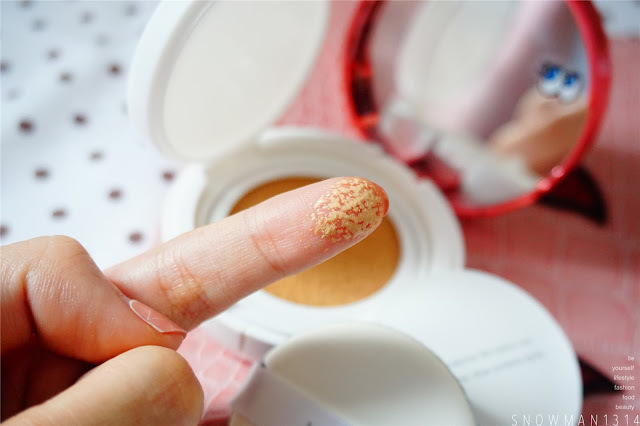 I try out using lipstick stain on my hand and do a coverage test with this Bb Cushion. 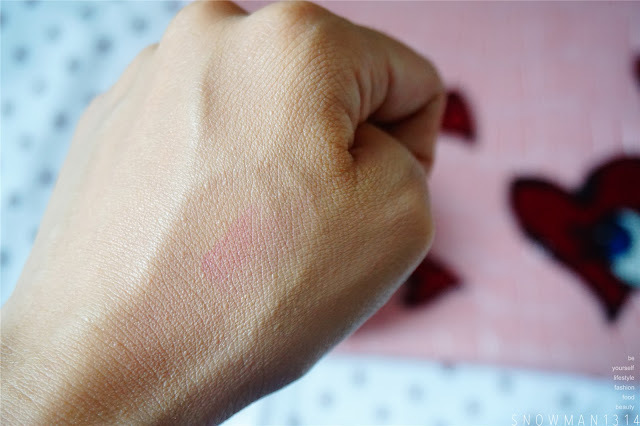 After puff the bb cushion with the air puff, I slowly dab onto the lipstick stain, it was 80% covered and left 20% of the lipstick stain on my hand. Not too bad as for coverage. Next, is their Intense Lip Gel. 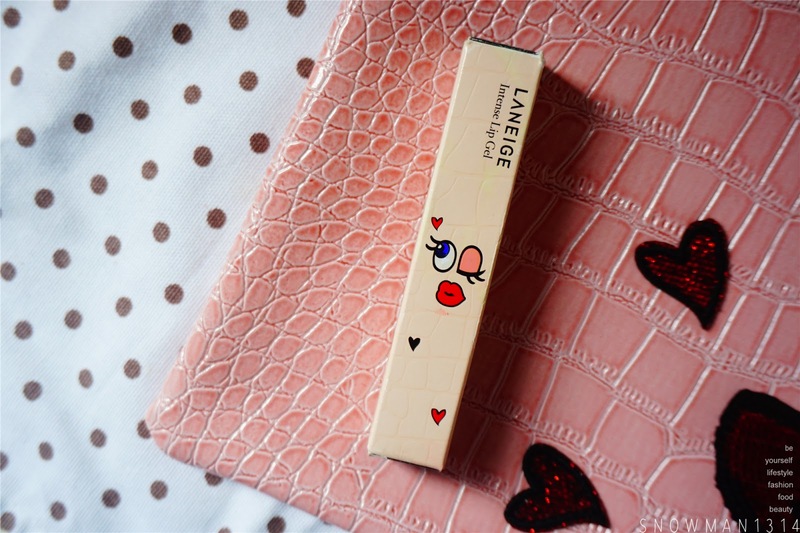 I got almost total of 5 lipstick from Laneige. Each of them has their own function and benefits. 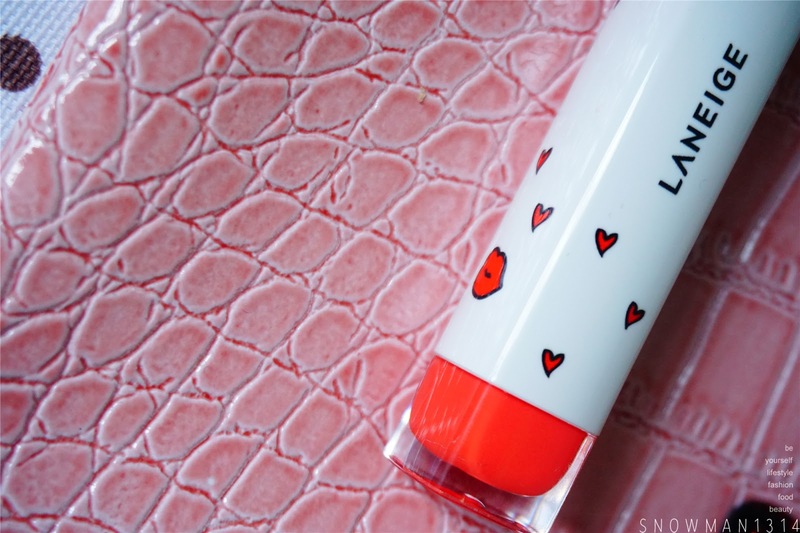 Packaging of this Lip Gel. Smoochy Lips and Heart shape all over. I choose No.5 Coral Souffle. 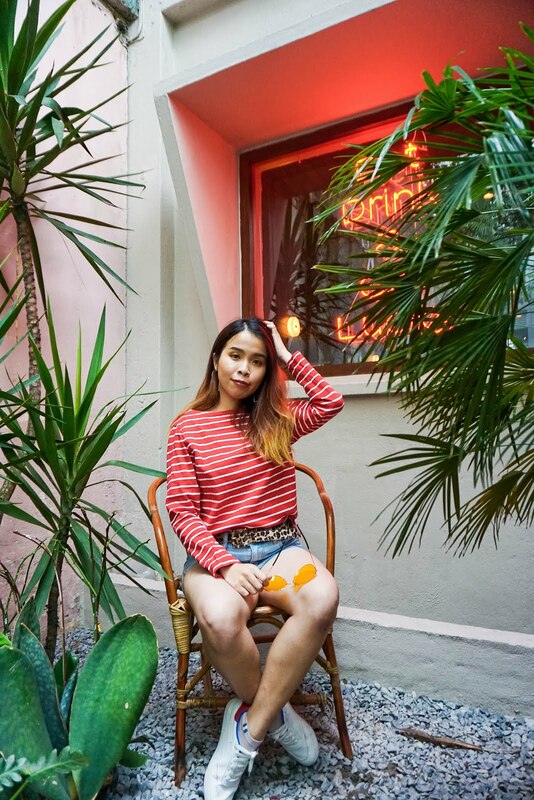 Which comes in coral and orangey color. 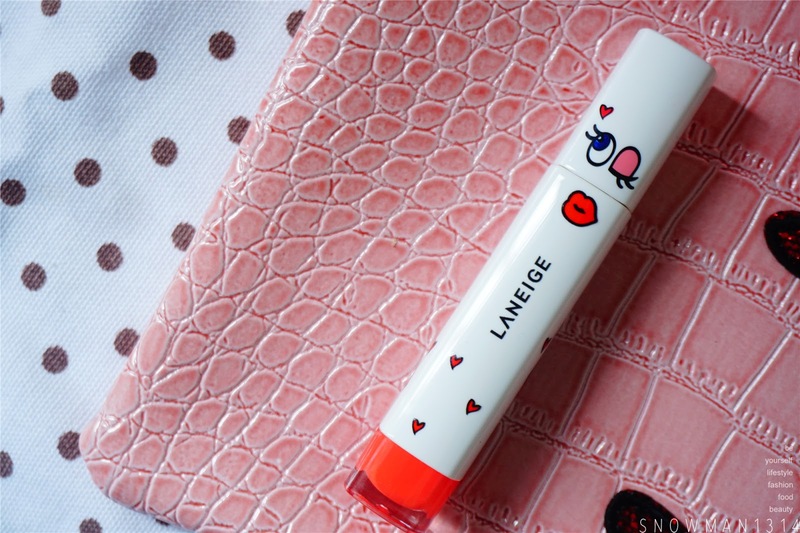 The whole packaging of this lip gel is too cute! With the blinking eye look again, and cute heart shape around too. It was my first time trying this kind Lip Gel. The color range of this series is really pretty but I always get lost in choosing all the colors but still I manage to get 1 color only. The swatches of this Color No.5. 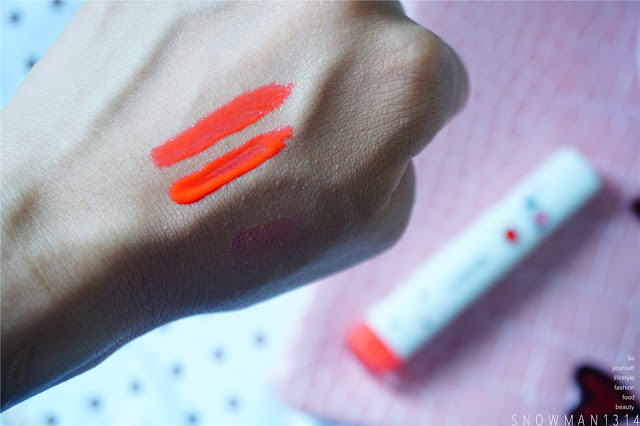 The color was really pigmented and really moisture in the same time. 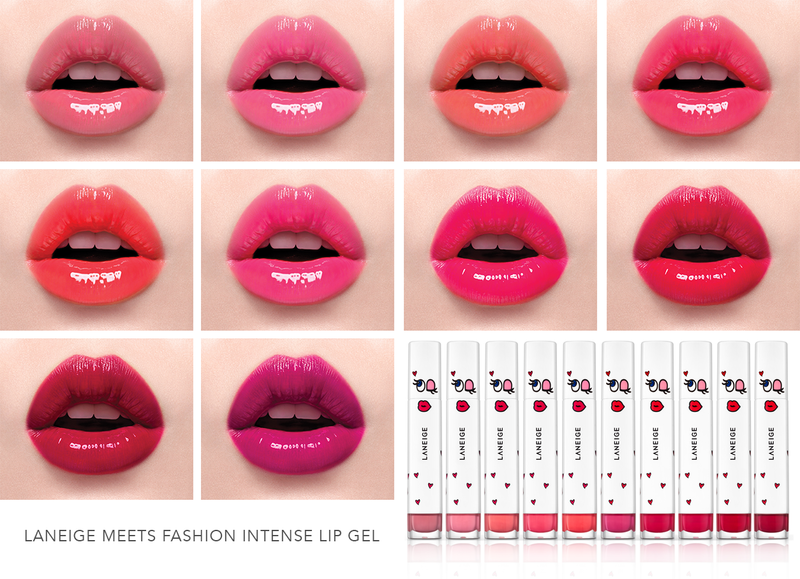 Basically super intense when you apply on your lips. 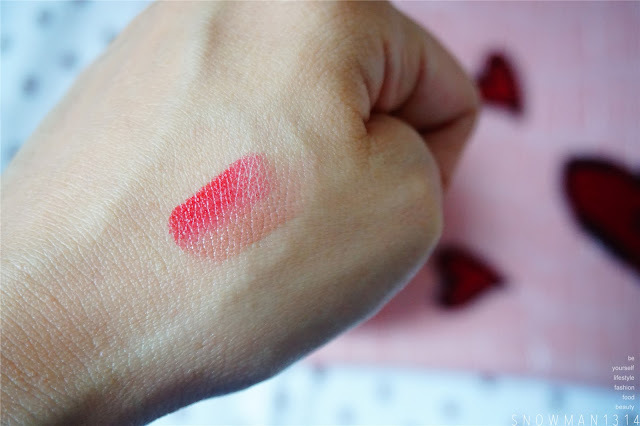 When I first apply, I was surprise with how pigmented and bright the color on my lips. 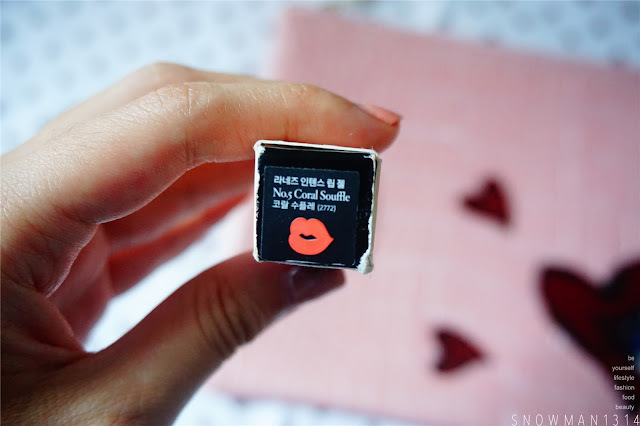 The color actually stay for a long period, although it will transfer color if you smooches on something but the color pigmented actually stays on your lips. All the 10 Swatches for this series. The Plum color is so pretty and smoochy. 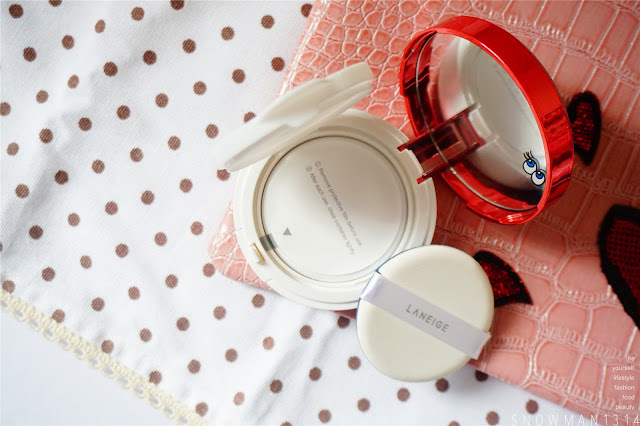 Trying the LANEIGE x Playnomore BB Cushion Whitening on my face. 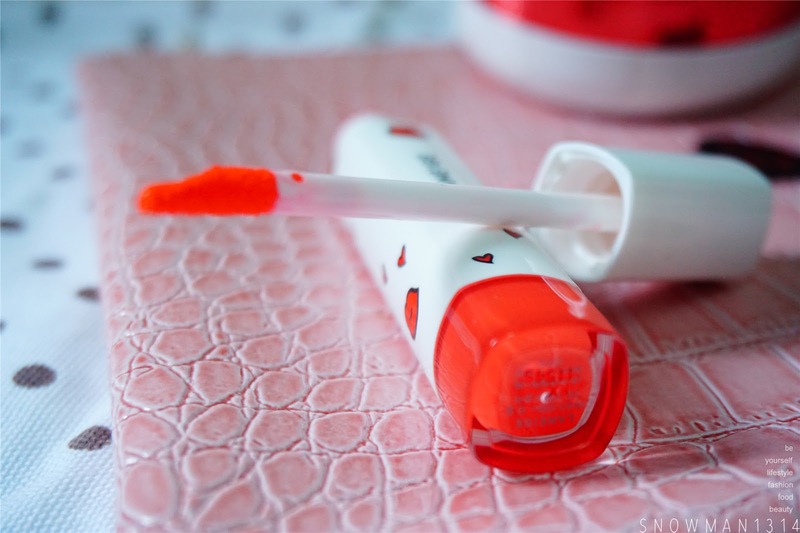 The color was easy to build on and the whitening effect actually give a glow to my skin too. 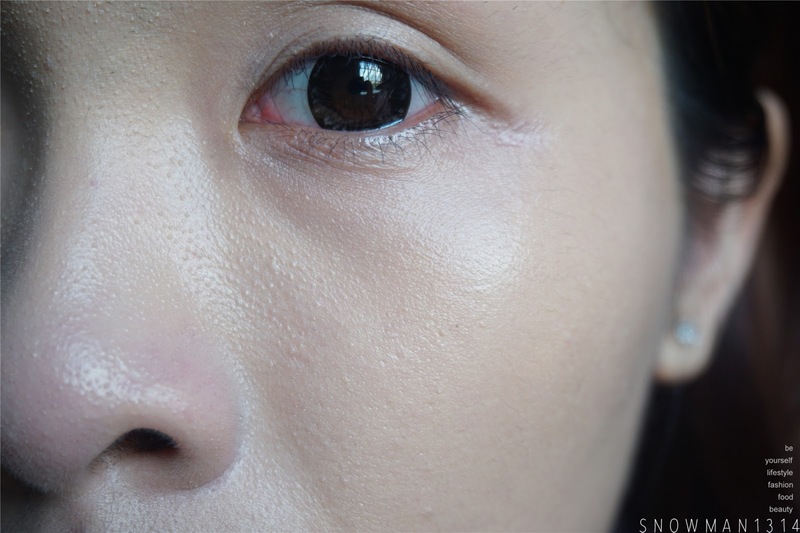 Coverage wise I find still acceptable, just need to cover up my dark eye circle and redness around my nose area. 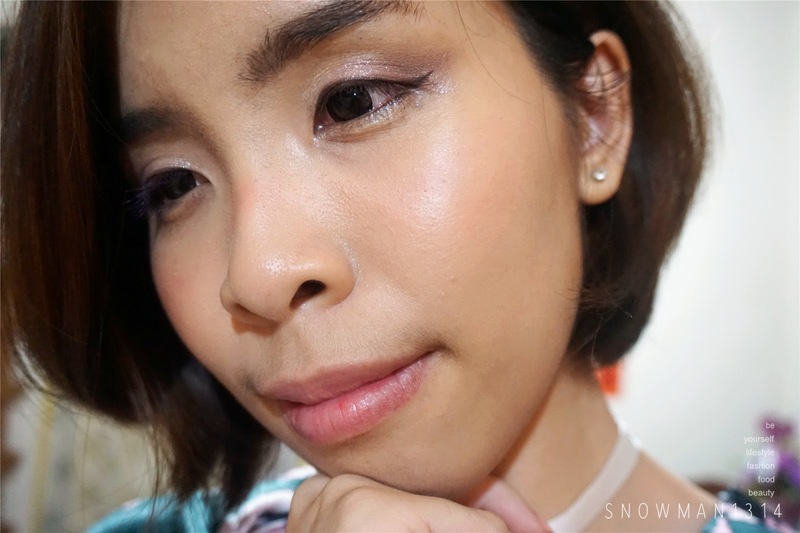 Finish look of the BB Cushion on my face. As for long lasting wise, so far it doesn't dry up my skin and the coverage still stay on my face. Just that the coverage actually looks more natural too. If you afraid of oily skin after apply BB Cushion, you can always dab come powder or loose powder around T Zone area. To make sure the coverage stay and prevent oily zone on your T Zone area. Its perfect since it has my favorite Playnomore Blink Eye Cartoon! Medium to Strong. Depends on how you build up if your skin has a lot of acne scar. 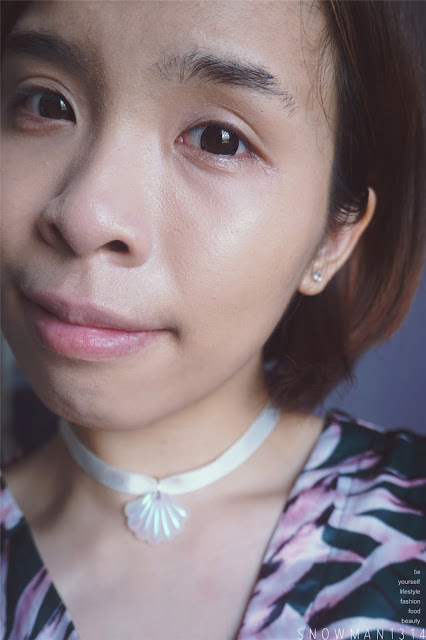 After a day, the coverage become more natural and still has 70% coverage on my skin left. There are now Matte BB Cushion release in this year, and guess what LANEIGE is coming out new BB Cushion in 2016. The packaging and function upgraded and I can't wait to own it. 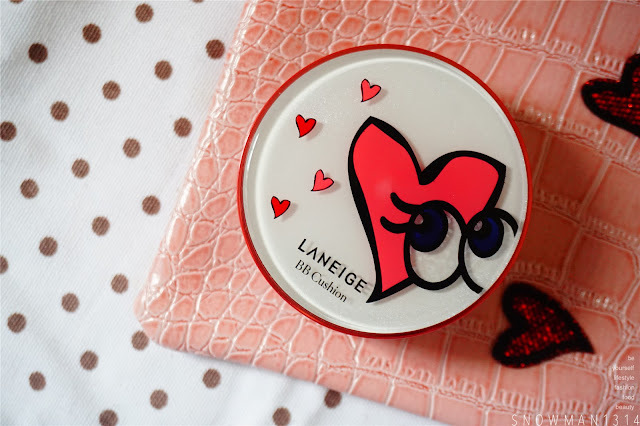 Malaysia haven't release yet but don't worry, if you are a big fan of LANEIGE BB Cushion. 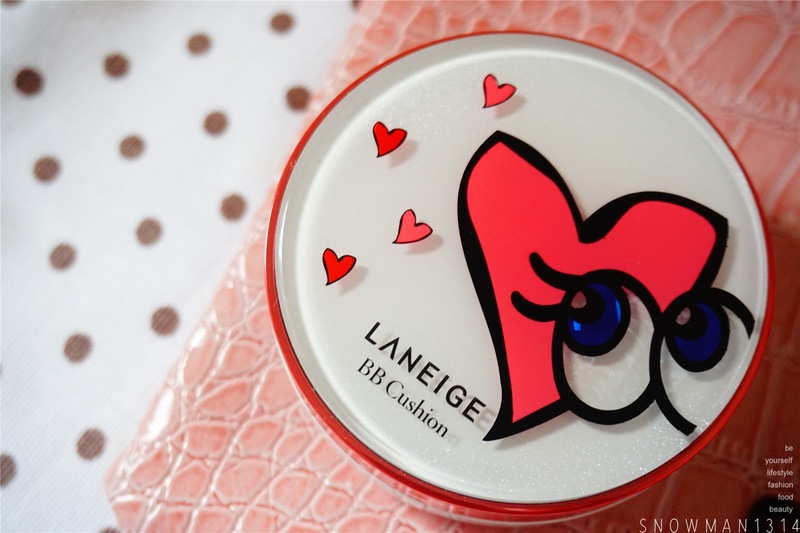 Althea KR now is selling this new Laneige BB Cushion with only RM114.00 by far the cheapest price in the market! Normal Retail is RM155. I know right, too cute to use them too! Heard lots of good review of LANEIGE BB Cushion. I should get it now to try it out. 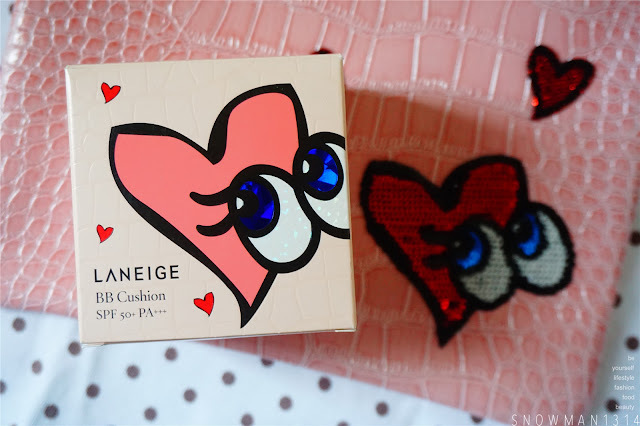 The BB Cushion casing is so cute. Want to get one for myself. Too bad they don't have anymore in market! The packaging is cute! And now you have more choices to play around with. Totally BB cushion has too many choices that keep spoil me!! Oh gosh, Laneige X Play No More is like a must to get! Totally right! Luckily I manage to grab this series!! I use the normal cushion and love it! Im using the normal one too! 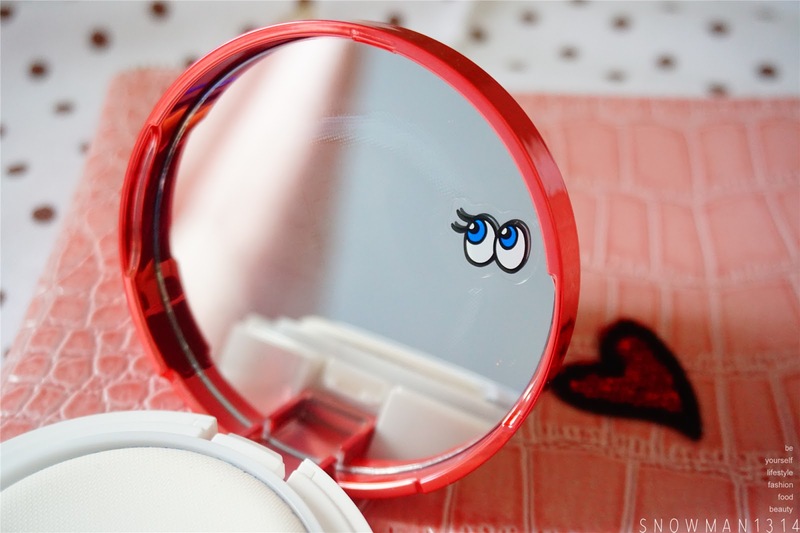 I love how the mirror has an eyes <3 and also the lip gel is so bright perfect for my neon night party! I love the mirror eye too! The packaging so attractive and nice. I want to get one for myself. i have a weakness for cute bb cushion cases, this one is totally cute, but also feel like dun wanna use to so fast sometimes. 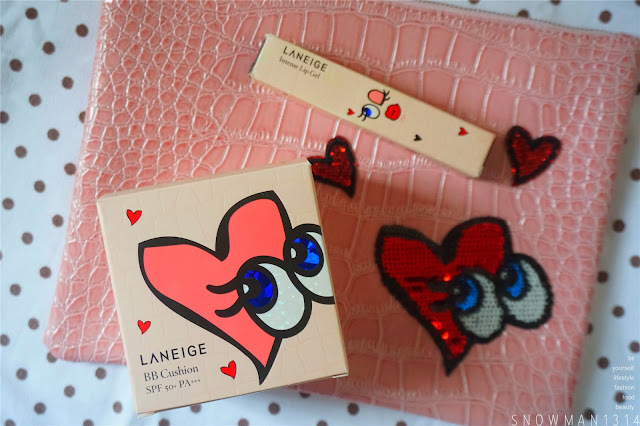 the packaging is so adorable! good that it doesn't dry up the skin, this is my usual problem, very scared to see the cracked line after some time. Yeap me too, normally I have pore issues. I have never used cushion product of any brand. Want to try out soon. Thanks dear, I like it too! Thought this a series from 2years ago and they discontinued it already? Is from Last Year dear. Yes, this was only remained for 2 months. The packaging is so attractive and actually never tried cushion product. wow....their packaging very cute!!! !I love it! !